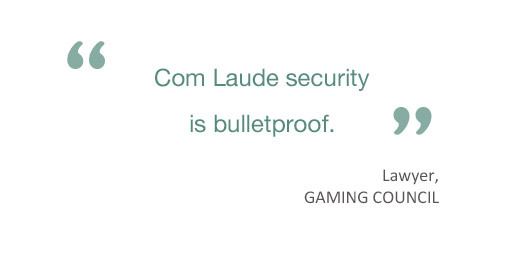 Downtime of any mission-critical domain name can be costly in terms of damage to brand reputation, as well as financial losses and/or costly legal repercussions. We offer a range of services and products to mitigate risk and support continuity of site uptime. With rising online fraud, SSL certificates are essential for data security and to help ensure compliance with Data Protection Law and Financial Security Standards. It is especially important for e-commerce, finance or sites where personal information is exchanged. A lapse or incorrect certificate can prevent you from doing business. Dealing with different certificate authorities, a range of certificates, and varying renewal dates with multiple providers, is complex and risky. Consolidating the SSL certificate management and domain name management with one trusted provider provides a comprehensive view of assets, cost savings, and the assurance of full coverage. Our secure, proprietary DNS Dashboard enables quick access via your browser to review your domain portfolio and access powerful reporting tools. Domain Name System (DNS) outages can be caused by internal or external cyber threats. These attacks can prevent your business from operating by disrupting your website and/or your email service. Our Premium DNS Service, guarantees 100% uptime and mitigates against such threats as: Distributed Denial of Service (DDoS) attacks, data centre outages, configuration errors, botnets, domain name hijacking, cache poisoning, man-in-the-middle (MITM) attacks, and server failures. As the incidence of DDoS attacks escalates, we offer an additional level of protection for mission critical DNS records where disruption of service would be catastrophic. Site Protect Service detects threats, and re-routes traffic to the Secure Operations Centre (SOC) leaving the protected site unaffected by the attack. 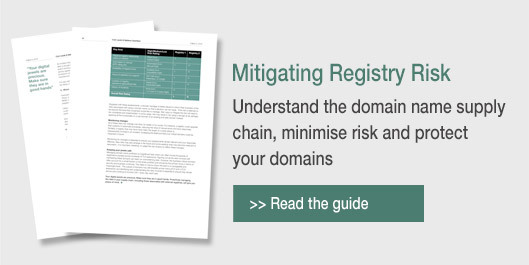 We recommend locking domains at the registry (TLD) level as well as at the registrar level and implement locks on your behalf and advise you on new risks and how to reduce the chance of hijacking. See how our domain name infringement services help monitor and protect brands online.